My Messy Manger: Superhero Poncho-Cape! I found this yesterday and almost died of awesomeness on the spot. 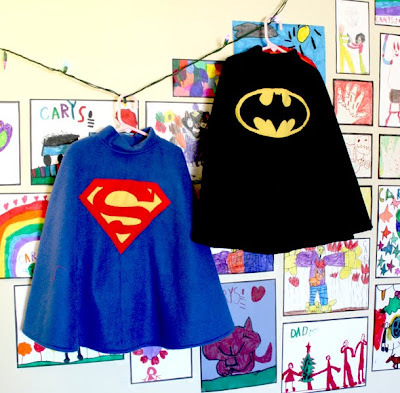 Lindsey has a wonderful step-by-step how-to guide on her blog, Filth Wizardry, for making these super awesome fleece superhero poncho-capes. I'll have to wait until next winter to make one of these for Jude, since he is much too young to appreciate it right now, but I MUST make one of these for him!